Introduction to SA low budget content sales. What does a sales agent look for and what is their role? What type of low budget filmmaking is currently selling? Things writers should note when creating projects for TV sales. Vuks is an actor, producer and sales agent from the Eastern Cape. He is currently residing in Johannesburg. Vuks currently works as the sales and acquisition manager at Fireworx Media where he licenses films to local and international broadcasters such as Mnet, E-tv and Sabc as well as documentary films to Fox International. He decided to venture into film distribution with the intention to learn how the market for local films works in order to acquire a well-rounded skills set to be able to develop, produce and distribute films. 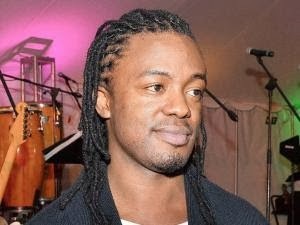 In 2006 he graduated from The New York Film Academy as an actor and further did an honours degree as a producer at the South African School of Motion Medium and Live Performance (AFDA). In between acquiring various academic knowledge, he worked as an actor on various feature films, plays and TV programs such as Wit Licht (Holland), Yes We Can(France), Amstel Class Act 2 (SABC 1) with cameo roles in Rhythm City(Etv), Isidingo(SABC3) and End Game (2013). In 2008 he ventured into producing receiving mentorship from Two Oceans Productions and has recently line produced his first feature film “The Good Man” starring Aiden Gillen(Game of Thrones) and Thomas Gumede (Othelo Burning). The film made the final selection at The Durban International Film Festival. Vuks’ overarching goal is to develop, produce, market and distribute films in the Eastern Cape and eventually nationally and internationally.